Raise your awareness and consciousness with the full moon, specifically crafted Gong and singing bowls. 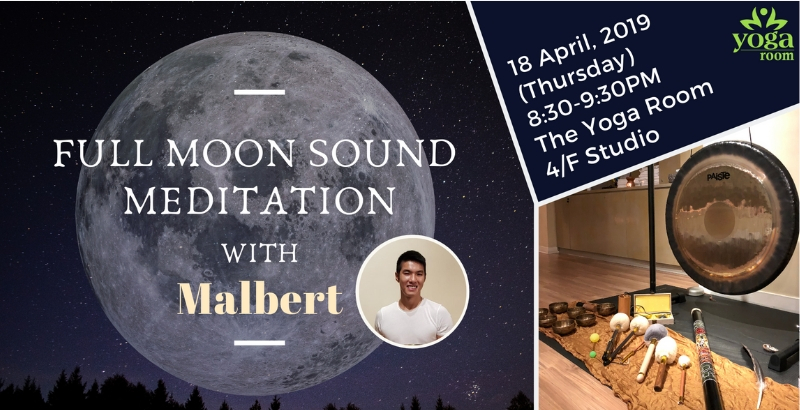 This 60-minute sound healing meditation class includes vocal meditation, breathing exercise and sound vibrations from the large gong and full moon singing bowls to release tension in the body and ease the mind. Immerse yourself in the rich overtones of the specially crafted instruments which have been in use for over a thousand years for healing, cleansing and relaxation. This is also a great opportunity to experience a deep state of relaxation, balanced chakra energy, improved circulation and sleep quality. The class is suitable for both beginners and experienced meditators.